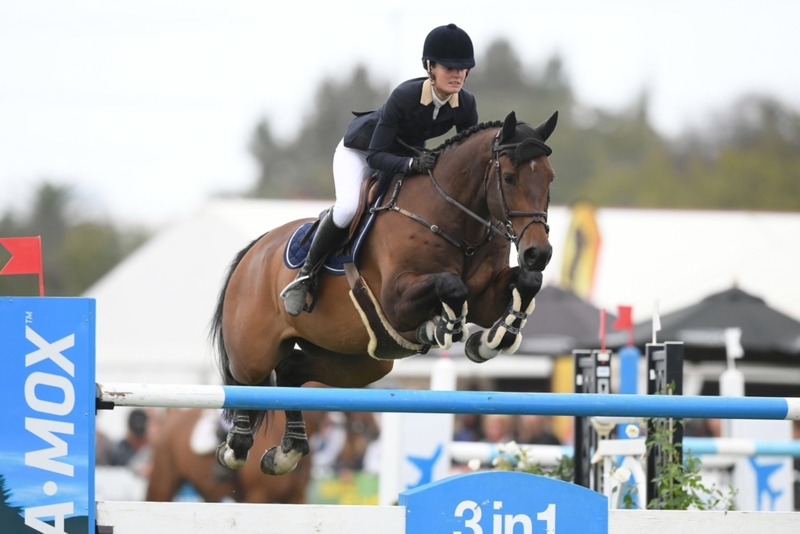 Tegan Fitzsimon and her wonderful gelding Windermere Cappuccino can lay claim to a rather unique achievement – together they have won every single New Zealand jumping series he is possibly eligible for. 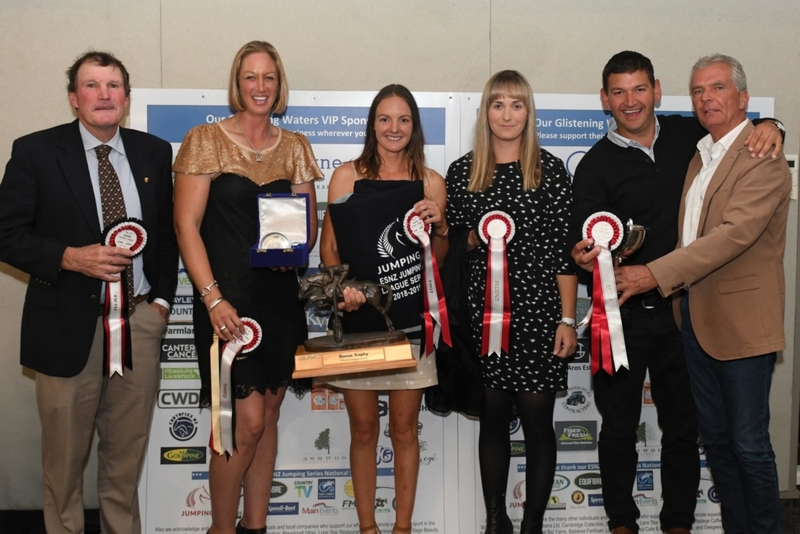 They already had the FEI World Cup (NZ) Series in the trophy cabinet at home and headed to the Series Finals having also secured the ESNZ Premier League, Equissage Horse Grand Prix Series and ESNZ Eight-Year-Old Series. Last season he won the Seven-Year-Old Series and in the preceding years the five and six-year-old ones too. 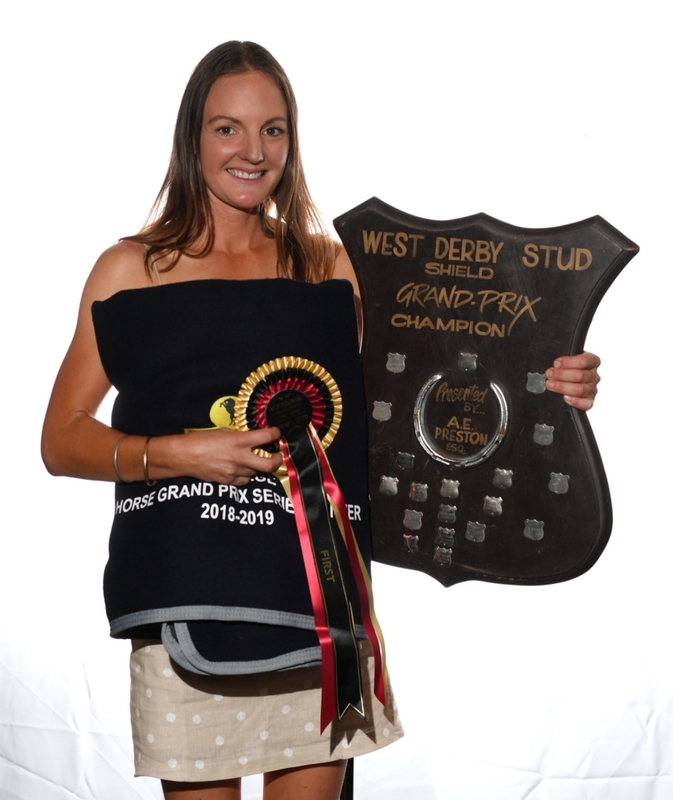 It is the first time Tegan has won the Premier, Horse Grand Prix or World Cup series. 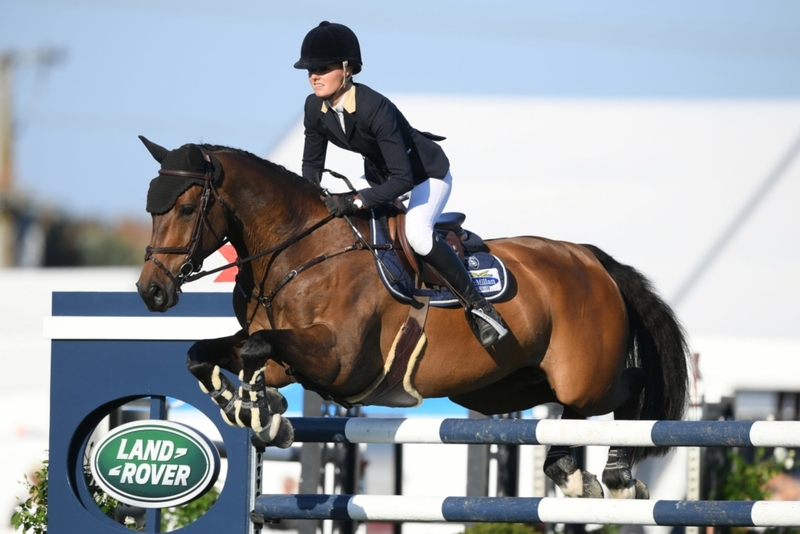 “It is really special.” The combination also placed third in the Olympic Cup at HOY after a brilliant jump-off between Tegan, eventual winner Emily Hayward and Melody Matheson. She teamed up with the warmblood when he was four. This season they did their first World Cup start – from their four starts they had two wins and two seconds and took just a single rail. They also won the National Grand Prix crown this year too, adding to the others they have won each year they have competed there. Over the entire season, they had just five rails down. It was a very small field that lined up for the grand final of the ESNZ Premier League thanks to late scratchings. 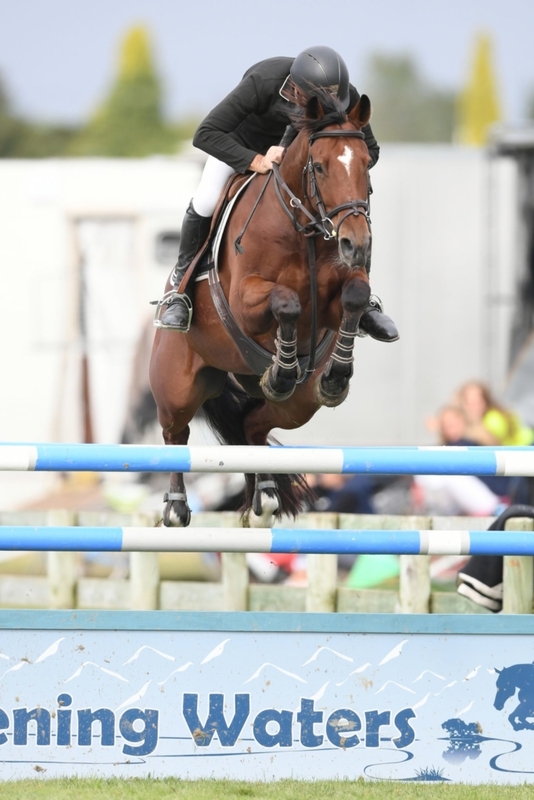 Maurice Beatson (Dannevirke) and Gold Locks were the victors with four faults over the two rounds, Brooke Edgecombe (Waipukurau) and LT Holst Andrea were second with 12 faults and Maurie aboard Mandalay Cove were third on 13 faults. 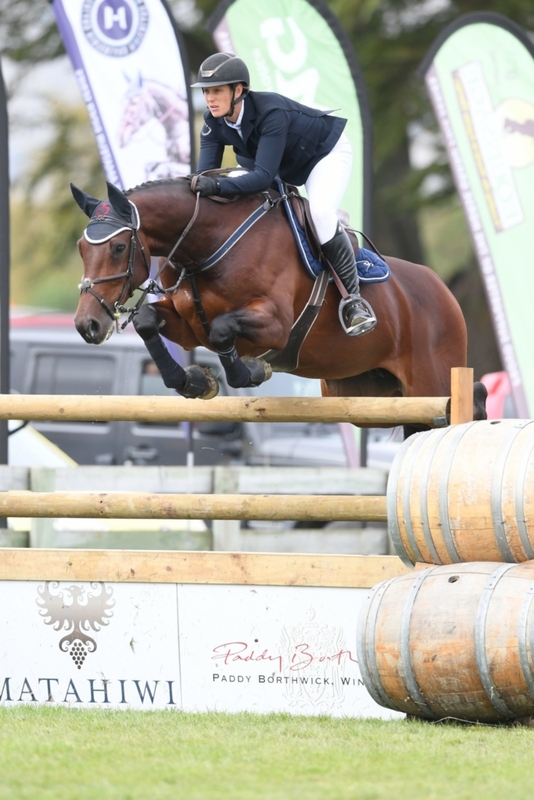 Maurie was clear with both his horses in the second round. 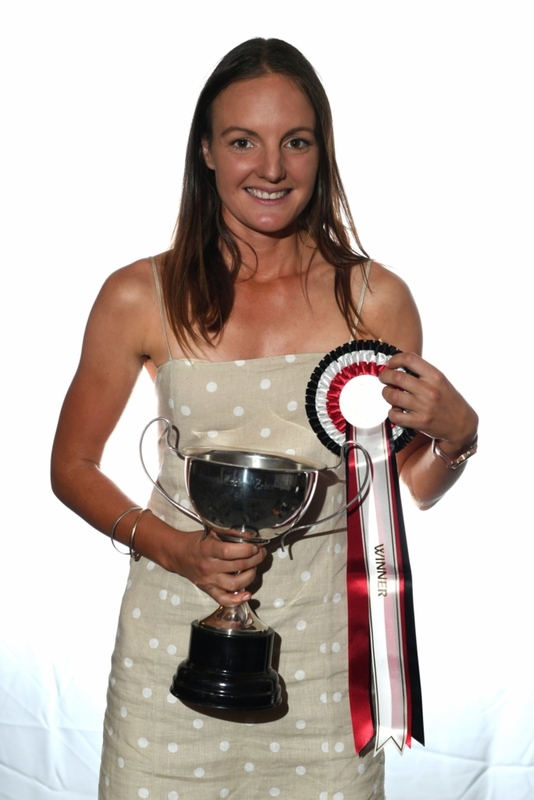 In the two round Equissage Horse Grand Prix Series Grand Final, 15 started the opening round of the Gerrit Beker-designed course, with clears coming only form Julie Davey (Hastings) aboard Joligne De Carmel and Brooke Edgecombe (Waipukurau) on LT Holst Andrea. 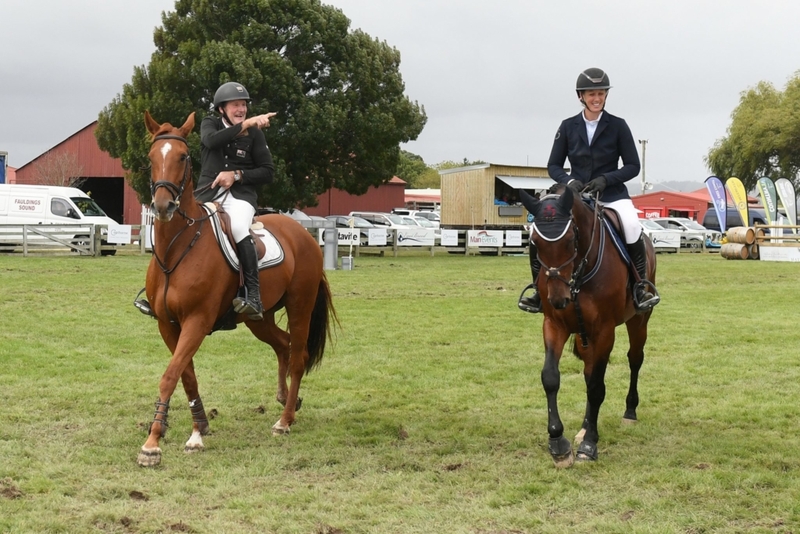 Nine came back for the second round with clears coming from Nicola Hammond (Cambridge) aboard Carlo I, Glen Beal (Te Kauwhata) on All Expenses of Renton and the very consistent Brooke aboard Andrea who took the win with the only double clear of the class. Riders really did cop some dreadful weather, but everyone coped admirably.